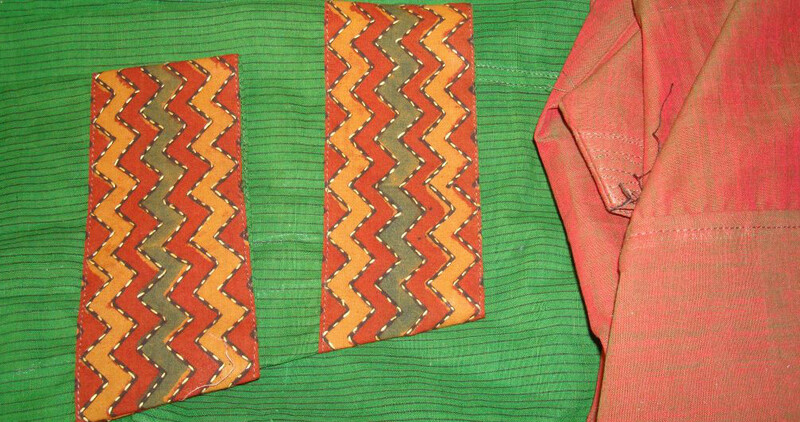 I had seen some printed tussar silk sarees, with running stitch embroidery on them. 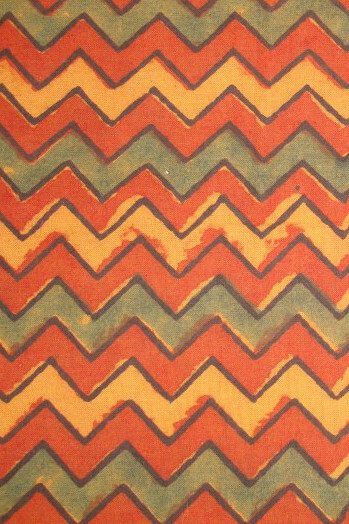 Wanting to try this, I chose a block printed handloom fabric with zigzag print to work running stitch and mirror work for a tunic. Simple running stitch embroidery on those zigzag lines. The idea was worked now. 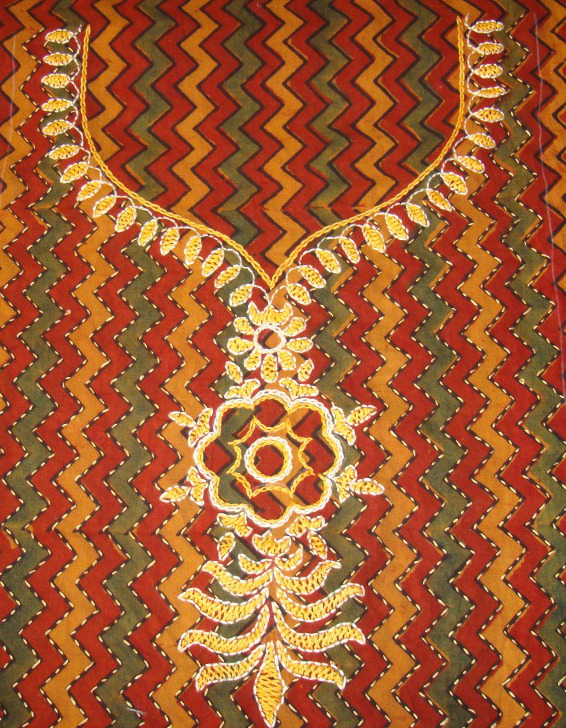 Moving on to work the ethnic embroidery around the neck and front with herringbone, chain and beck stitches. 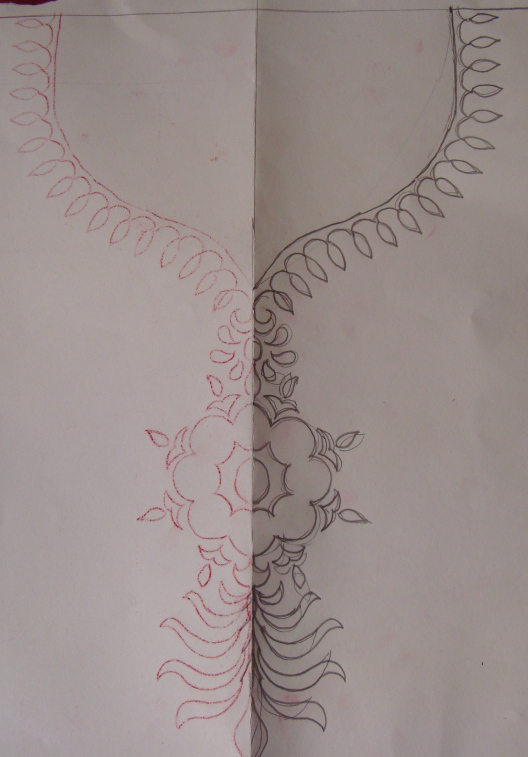 The mirror work in red thread. 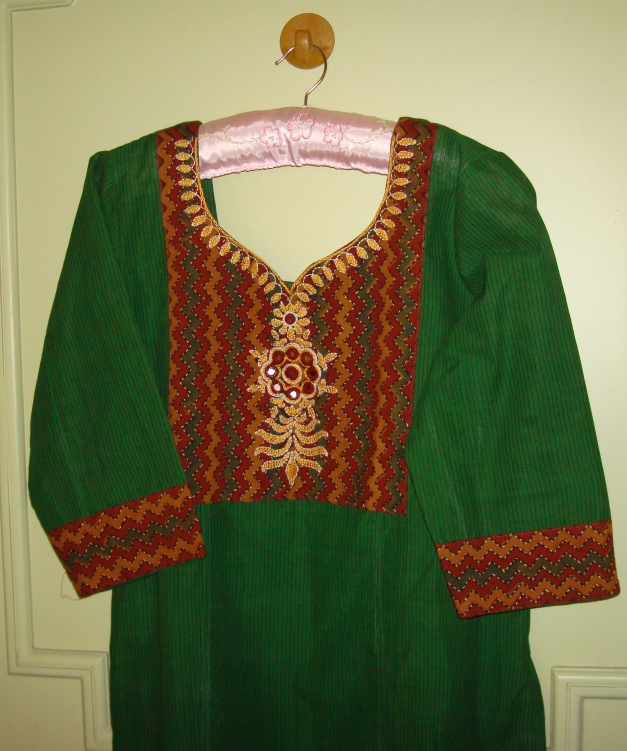 The green striped tunic with running stitched sleeves, and salwar. The idea of working the herringbone stitches in yellow was good. But after working them, it was not very appealing, another round mirror arrangement below the big mirror flower might have been better. The ideas for improvisations came after the tunic was sewn. 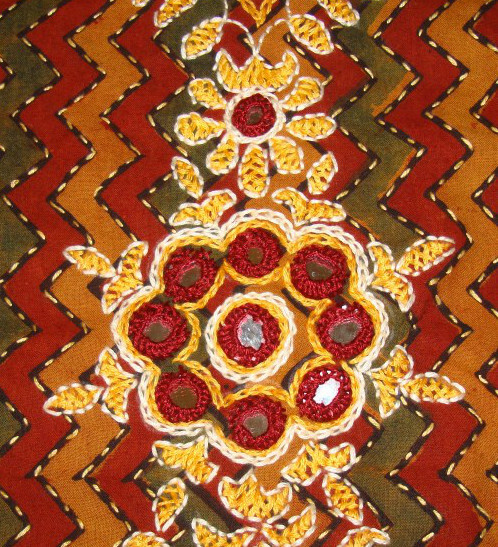 But it gave satisfaction to have tried the idea of running stitch on printed fabric. Sure saves time on pattern making, tracing and working large areas. Whenever, I had an inspirations like these, I work that on my project. Pondering on the idea of working the inspirations on samplers these days.